The Clinical Assessment and Treatment Service (CATS) is a musculoskeletal triage service, staffed by Advanced Musculoskeletal Practitioners (AMP) who are specialists physiotherapists. The Clinical Assessment and Treatment Service (CATS) is a musculoskeletal triage service, staffed by Advanced Musculoskeletal Practitioners (AMP) who are specialists physiotherapists. A consultant Rheumatologist and Pain Specialist are also part of the team and offer one session per week to assess patients referred by the AMPs. The role of the team is to screen musculoskeletal referrals from GP and to signpost patients to the most appropriate management for their condition. This can be done through either a face to face assessment or by paper triage. The CATS clinics are held both in Widnes and Runcorn. 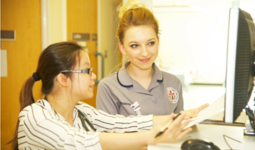 The CATS team accept referrals from GPs based in both Widnes and Halton and other allied health professionals. Patients must be over 16 and have a Halton GP. Referrals can be made in the form of a letter or via the e- referral service. Have they had any treatment for this condition such as physiotherapy, results of any investigations etc. Please note, if you have ordered investigations do not refer into CATS until you have the results as no triage decision can be made. The more relevant information that is provided on the referral, the easier a triage decision can be made. 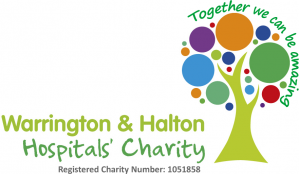 All referrals must be sent to the Referral Management Centre based at Physiotherapy Department at Halton Hospital.